With the developing technology everyone dreams of having a media room. However, you cannot just throw in some tech equipment and call a room “media room”. Such rooms need to be thoughtfully designed in order to be fully functional and stunning. If you do a good job, you can even use this room as both a media and a living room, and make the rest of your home device- and gadget-free. Storage is important in a media room, but you don’t want to overflow it with cabinets. Your media room will need some free space you can use for extra seating. Since the entertainment is the room’s main purpose, seating should win over storage. You can install a few cabinets, but you should also consider using furniture that can double as storage. Provide a neat coffee table in the middle, but make sure it has some drawers or extra space at the bottom where you can store your necessary items. Also, leaving enough free space will provide depth to the whole room. The one thing is certain – you will need a quality TV. If you want to play games in your media room, you can consider purchasing consoles of your choice – Xbox, PlayStation or Nintendo. You can either hook them up to your TV or, for a bigger picture, you can consider getting a wide screen and a projector. 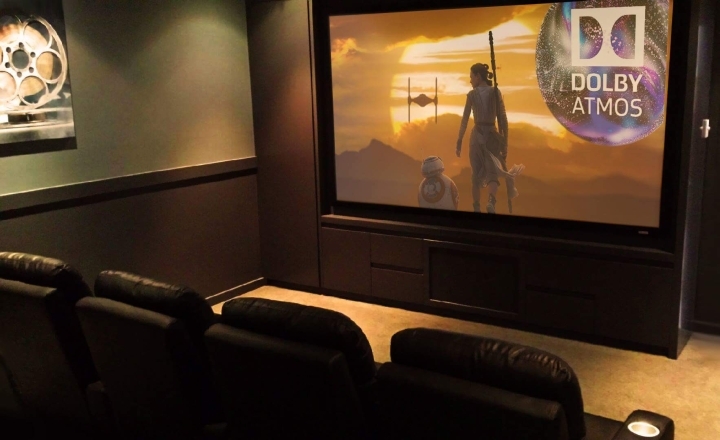 You can even consider installing a home theatre where you can host amazing movie nights. The choice is yours when it comes to devices, just make sure to arrange them properly and avoid messy cables. Since the TV is an important component of the media room, you need to find a perfect place to mount it on the wall. Flat panel TVs are perfect for mounting and you get plenty of free space with the TV on the wall. Find a neat place for it, for example, above a fireplace or on the accent wall and build the rest of the tech gadgets around it. This is one of the hardest parts and that’s why you can rely on genuine professionals to do the job for you. 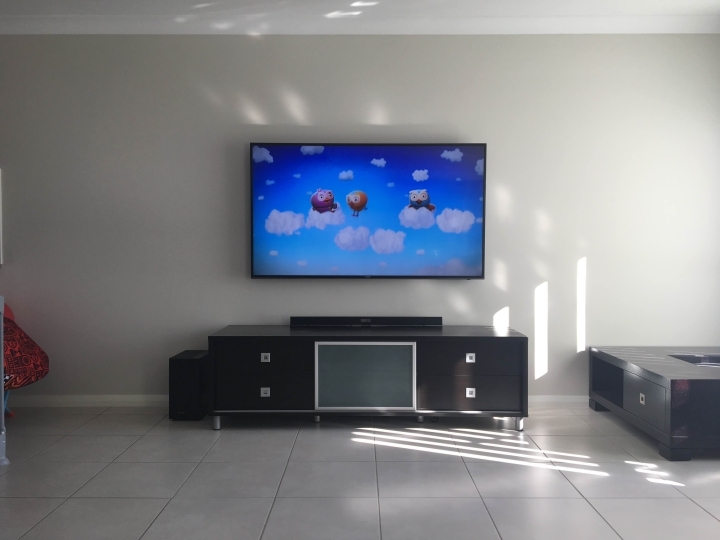 Experienced technicians behind Universal Home Theatre specialise in all facets of home theatre wall plates and TV wall mounting (both design and implementation), using their best tools and methods to mount TVs. The three most important aspects of wall-mounted TVs include that they are safe for children, look good as a part of the design and provide the optimal comfort. Windows can pose a problem. You want to get as much natural light as possible inside, but that can cause troubles with reflections and glares on the screens. In order to solve this problem, you should consider installing blinds. You can even consider automated blinds that have two functions. One setting that can stop the glare while letting enough light into the room, and the other, which can completely block the light for ultimate comfort. Also, you should consider installing dimmers on your lighting fixtures if you want to create a relaxing atmosphere for playing games or watching a romantic movie. Create a built-in home bar in your media room. Provide a wine cooler and some pull-out bottle storage where you can keep all the drinks for your fun nights. You can also put up some extra shelves for more beverages or storing some snacks. Add a fireplace if possible or repurpose the old one and provide plenty of comfortable seating for you and your guests. Some of the best seating solutions are bean bags or big cushions which can later serve as a comfy reading area. Apart from the safety, two most important aspects of media room are comfort and functionality. If you’ve conquered those two, the design will be stunning and your media room will always be used and enjoyed.